We are business strategists, venture investors, and applied innovation experts. Jason is a business strategist, entrepreneur, and venture investor with over 20 years of experience in domestic and international business consulting engagements. 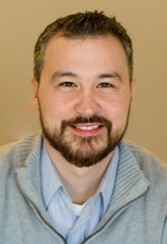 He has unique expertise in both large corporate and early stage startup strategy, management, financial analysis, and product development; an established track record of building strategic partnerships and alliances to generate new or alternative revenue streams; and is an innovation practitioner in crowdsourcing, emerging technologies, and the application of lean startup methodology within both large organizations and startups to develop new service offerings. He has founded four startups and served as an advisor and mentor to dozens of entrepreneurs. He is also early stage venture investor. Jason has lived and worked in the former Soviet Union, Eastern Europe, and Middle East. Jennifer Quarrie is a professional innovation strategist and entrepreneur who facilitates organizations through all stages of innovation, advises on how to combine methodologies effectively and bridges cultures from startups to large enterprises across the public and private sectors. She leverages more than 19 years of international business experience to help organizations transform by building actionable strategies, applying cognitive and behavioral approaches to evolving culture, guiding innovation initiatives from need to implementation, and designing experiential activities and environments that enable creativity. Jennifer’s innovation work is founded in her background as a Lean Startup facilitator, Creative Problem Solving (CPS) facilitator, certified instructional systems designer (CISD), and cognitive researcher with a BA in Cognitive Neuroscience from the University of Virginia and a Master of Science in Creativity and Change Leadership from the International Center for Studies in Creativity (ICSC).